Technology never stands still: it’s always changing, adapting and progressing, and oftentimes things that seemed improbable (or even impossible) one year can quickly start becoming possible only a few short years afterwards. Wearable computers seemed like a fanciful idea only recently, but now they’re pretty much the next big thing to go mainstream. The emergence of the Oculus Rift could probaby catapult virtual and augmented reality into literal reality. With this in mind, here’s a list of 10 interesting futuristic technologies that we’ll most probably be seeing in the near future. Although these are mostly still in the very early stages, they’re at something of a middle ground. While you won’t see these readily available everywhere yet, but at least we now know that in due time, they will become actual products we can see, touch and utilize. Without further ado, here’s the list. Jet Pack International are making great strides in jetpack technology H202 and H202-Z jetpacks. As the name suggests, both the H202 and H202-Z are hydrogen peroxide-fueled jetpacks that will allow uers to fly at up to 77 miles per hour at a maximum height of 250 feet. So far thought, the higher-capacity H202-Z is only capable of a maximum flight length of 33 seconds and a maximum travel distance of 3,300 feet. But you have to admit, it’s a start. 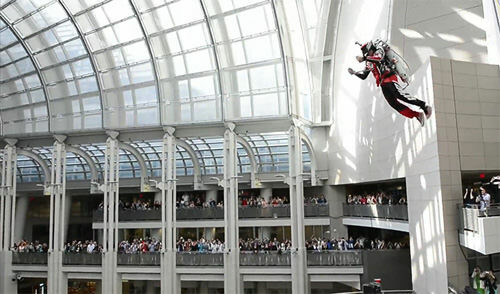 The Jet Pack International units have great potential, and the lacking travel time and distance is outweighed by how mobile and controllable the flight is, not to mention how compact the units actually are. The Jet Pack International H202 and H202-Z are actually currently available, albeit not commercially: you can assemble the jetpack yourself, if you have $100,000 lying around. 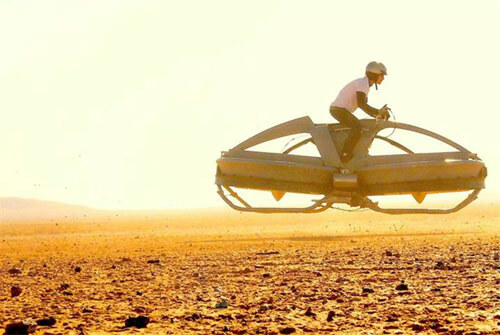 If you’re a Star Wars fan, the Aerofex Aero-X, a real-life equivalent of the Star Wars speeder bike, is definitely something you’ll want to keep your eyes on. The Aero-X is the result of more than 15 years of research and development. Powered by a water-cooled 240 horsepower engine and two large rotors, the Aero-Xcan hover at an altitude of 12 feet and at speeds of up to 45 miles per hour power. It can also carry up to 310 pounds. Think of the potential. Also, as a result of this extended research and development period, Aerofex claims to have overcome the dangerous coupling effect that can arise due to using two rotors, ensuring that the Aero-X will be safe and easy to control. The Aero-X is currently available for preorder for a refundable $5000 deposit. The final unit is scheduled to be available in 2017 at the price of $85,000. In March 2013, Denis Aabo Sorensen had the privilege of testing a new type of prosthetic hand, created by a group of European engineers and scientists. 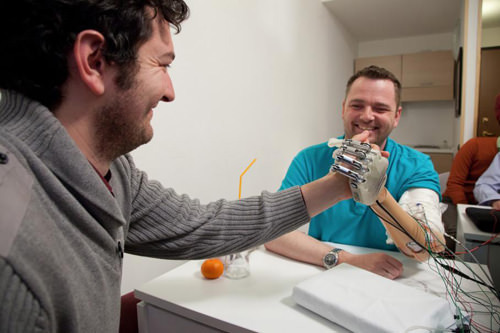 Unlike conventional prosthetics, the new prosthetic hand connects directly to the remaining nerves in Denis’ upper arm. This means that the "hand" has a sense of touch and is actually controllable. Blindfolded tests showed that Denis was indeed able to differentiate between different items such as a bottle, a baseball and a mandarin orange. It also could exert different levels of pressure, allowing Denis to touch, hold or grab something. While this prosthetic hand is indeed a great leap forward, it’s still far from ready for widespread use: the arm required electrodes to be implanted directly into Sorensen, and tests still need to be carried out to determine the durability of these electrodes. In addition, the hand required a lot of processing power, and was hooked up to a laptop; researchers are working on making the processing computer small enough to be integrated within the implant itself. 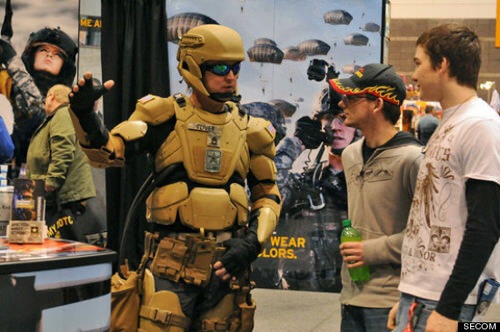 TALOS stands for Tactical Assault Light Operator Suit, a combat suit that the US Army hopes will become a reality within the next four years. The TALOS provides ballistic, shock and fire protection for Special Operations soldiers. The aim is to provide these soldiers with better, more mobile and more versatile protection than what currently exists. The development of the TALOS suit will be a collaborative effort between universities, government agencies and corporations. While there is yet to be a working prototype, development is proceeding at a rapid pace. The head of the US Special Operations Command, Admiral William McRaven is confident that unpowered prototypes will be ready in June. There is also the goal of testing a complete working prototype in August 2018. Don’t expect to be able to buy this, of course, although there’s every chance that some of the tech here could eventually trickle down to civilian uses. 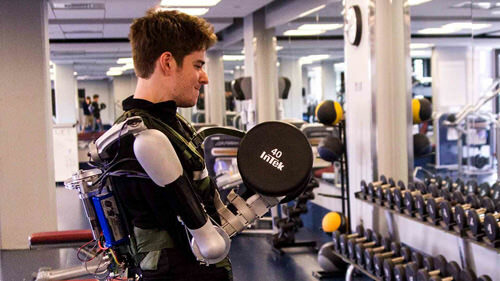 The Titan Arm is the work of a team from the University of Pennsylvania, and is a strength-enhancing upper-body exoskeleton that will help you lift an extra 40 pounds. Granted, it’s a far cry from the Powerloader we see – and love – in the Alien films but the Titan Arm was designed with a more humble goal in mind. The Titan Arm is built to help rehabilitate people who’ve suffered serious arm injuries or strokes as well as provide some extra strength and protection for anyone who lifts heavy objects for a living. To keep costs low, the Titan Arm uses 3D printing techniques allowing the prototype development costing to be reduced to £1200. This, and the fact that the developers gained extra funding by winning the 2013 James Dyson Award, means that the Titan Arm may just become a commonplace sight in the near future. Chinese researchers have recently been looking into the next phase of train transportation, beyond even Maglev technology. China and Japan already have very fast Maglev trains that are capable of reaching over 260 miles per hour, but the new next-generation Maglev technology, dubbed super Maglev, will apparently be even faster. Super Maglev is built on the same Maglev technology, but it encapsulates the train in a vacuum tube, further reducing air resistance, allowing for higher, mind-boggling speeds. 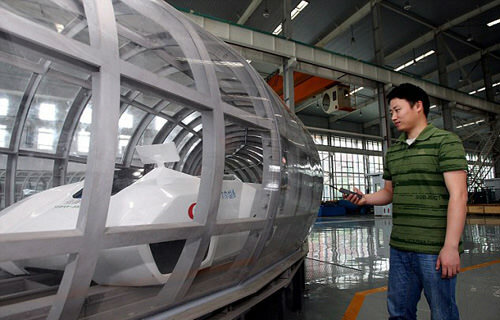 Researchers claim that such enclosed-tube Maglev systems could see trains reaching speeds of up to 1800 miles per hour. Of course, there are doubts about the feasability of constructing long vacuum tubes and keeping them pressurised, but if scientists and engineers can figure that out, we may one day be able to cross large distances quicker and more safer than we’ve ever imagined possible. Cave2 is a hybrid reality environment that lets artists, scientists and engineers become fully immersed in their research. 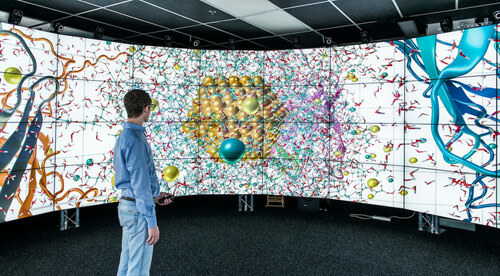 The Cave2 is a 360° wraparound structure consisting of 72 LCD panels, a 20-speaker surround sound system and a 10-camera optical motion tracking system. With 3D glasses, scientists and engineers will actually be able to virtually experience and move through anything of their choosing, whether it’s the human body or planets in the solar system. The Cave2 holds an immense amount of potential, especially for situations involving large amounts of data requiring visualization. In fact, a recent project fed crime data from the city of Chicago into Cave2, allowing policymakers and investigators to virtually fly through Chicago, accompanied by real-time crime data and information. 3D printing has taken the world by storm, and slowly but surely people are being won over by the idea that it’s for more than just gadgets. Food is also something that can be feasily 3D printed. 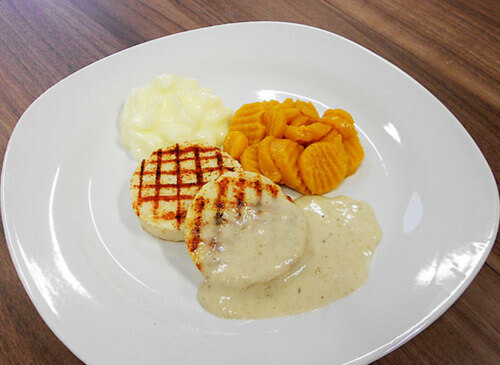 German company, Biozoon, is harnessing the power of 3D printing to create seneoPro, a range of 3D-printable powder mixtures that solidifies when printed but also very quickly melts when eaten. The main target for this new 3D-printable food are elderly patients who suffer from dysphagia, or the inability to swallow. Such a technology would definitely reduce the risk of choking, and the 3D-printed nature of seneoPro means that caregivers and family members can very easily mix and match the powders to create all types of dishes. 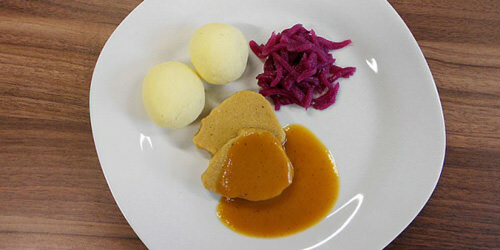 And you can also add coloring agents and texturizers to make the food even more appealing. Wireless charging, up until now, usually means charging via a pad, rather than via wires and cables. 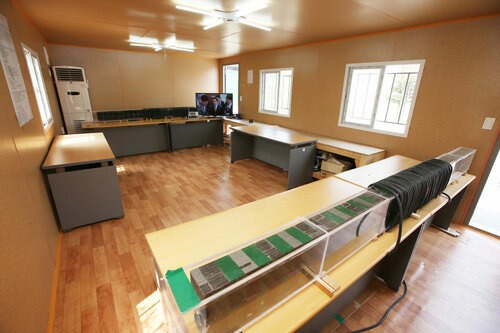 But if you ask the team from the Korea Advanced Institute of Science and Technology wireless charging can also be done a distance away. The team recently demonstrated a prototype of a new Dipole Coil Resonant System (DCRS) that can wirelessly power devices up to 15 feet away. The DCRS system achieves this using a magnetic field, and is apparently powerful enough to charge up to 40 mobile phones, and can even power larger devices, like a TV. There’s no word yet on how soon we’ll be seeing this technology in the real world, but in the mean time you can check out Cota, a somewhat similar wireless charging technology that’s coming soon. StoreDot, a ground-breaking nanotechnology company, recently unveiled a prototype for a next-generation battery that harnesses all their knowledge of nanotechnology and energy storage technologies. 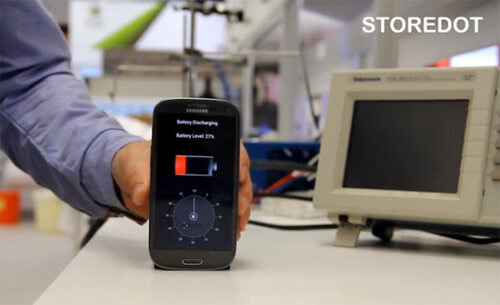 StoreDot uses bio-organic "nanodots" that have increased electrode capacitance and electrolyte performance. The science is a bit complex, but the outcome is simple: as a result of these nanodots, the battery can be fully charged in only 30 seconds. The best thing is that, since StoreDot’s nanodots are bio-organic, they’re a lot more environmentally friendly, not to mention power-efficient, than a lot of other competing nanodot technologies which often use dangerous metals and chemicals. They’re also apparently cheap to manufacture, so who knows, we may be seeing super-fast batteries in our smartphones before too long. Yeah, we know, it was a hoax, but for a brief, glorious moment, it seemed like all ourBack to the Future-fueled dreams were coming true: an actual working hoverboard that wasn’t just a scientific experiment constrained to a laboratory. The promo video, from a company named HUVr and featuring famous faces like Tony Hawk and Dr. Emmet Brown himself doing everything from just riding around to catching footballs and even controlling the hoverboard with an iPhone. 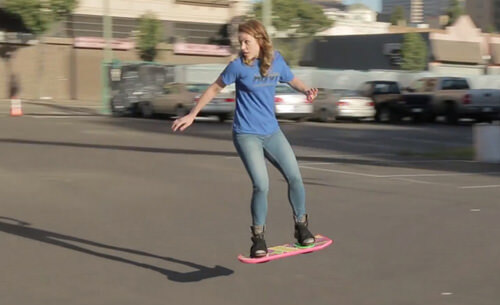 As it turned out only a day later, the video and the entire hoverboard was a hoax by Funny or Die, but the fact that it captured the imagination of so many people shows that, yes, people really do want hoverboards. It’s safe to say that if reserachers ever do figure it out, it’ll be an achievement that nobody will ever forget.